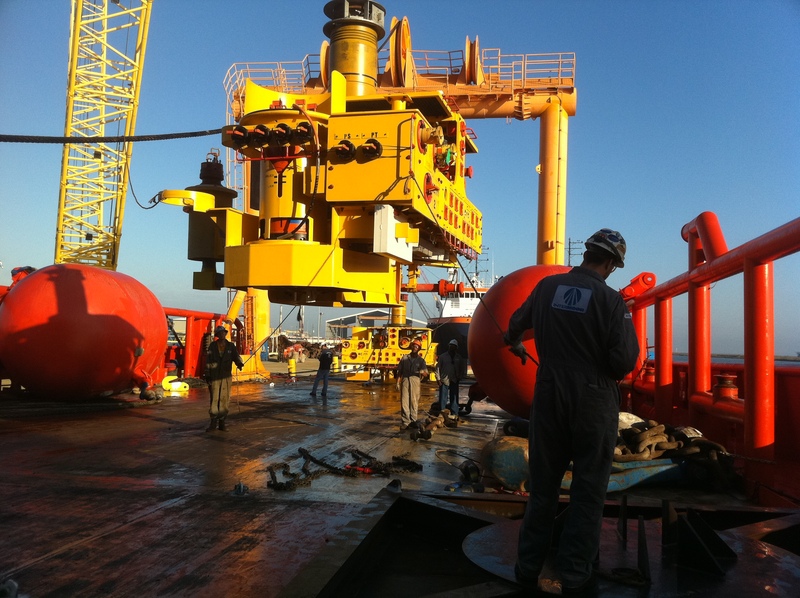 The project involved installing two subsea trees in 750-m of water in Block 199 of the Mississippi Canyon area at an extension of an existing tieback. Once LLOG had confirmed key information such as the tree weights and existing subsea infrastructure design and type, InterMoor engineers selected appropriate equipment – an A-frame-equipped AHV, already on term charter to LLOG, and the HCLS – one of the main benefits of the HCLS system, is that it can be deployed from long-term charter anchor-handling vessels, rather than requiring a specialist vessel to be brought in at spot rates, defined safe zones, planned transit corridors to the well locations, determined the estimated payouts and chose the land-out position of the vessel. The next step was testing both trees on the dockside to ensure they were undamaged after transport to Fourchon, La. InterMoor assisted with this, and once the detailed 48-hour examinations were complete, both trees were ready for installation. 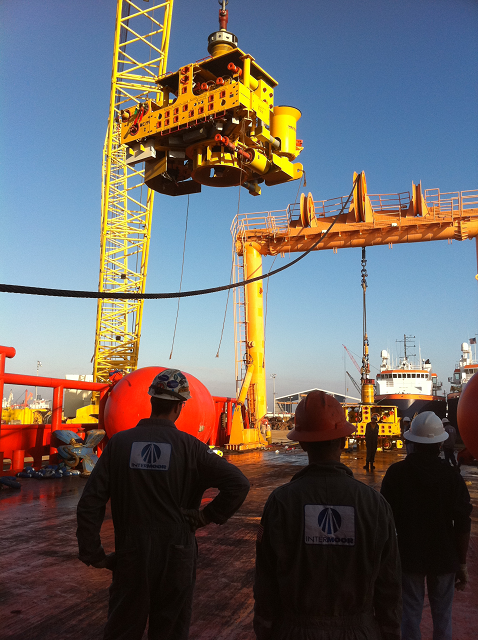 During the installation, InterMoor had to deal with moderate seas in the 2-m (6-ft 6-in) range. Offshore overboarding using an A-frame made installation possible in conditions that might have been too rough for a specialist installation vessel. The HCLS aided in reducing the risk of seabed collision by minimizing subsea motion. The trees were overboarded successfully, and the entire installoperation took 31 hours. This was an impressive performance from a company that had never used the HCLS system before. 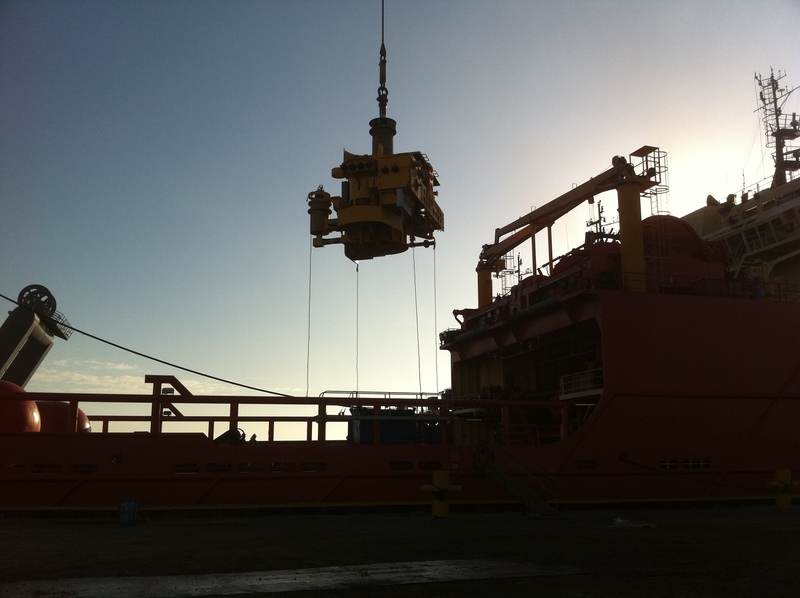 Once the team had completed the installations, the vessel moved directly on to operations for the next task. The operation went smoothly and the customer was satisfied with the outcome.